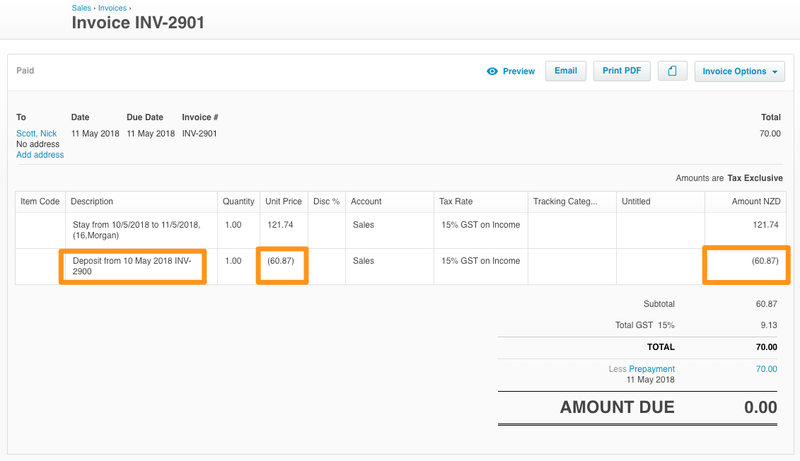 When the Xero integration has been enabled, you can use "Invoice Guest" to request a deposit from your guest. This should only be done for reservations in the future - if the guest has already paid you, or if they're in front of you to pay now, you should just record the payment normally. 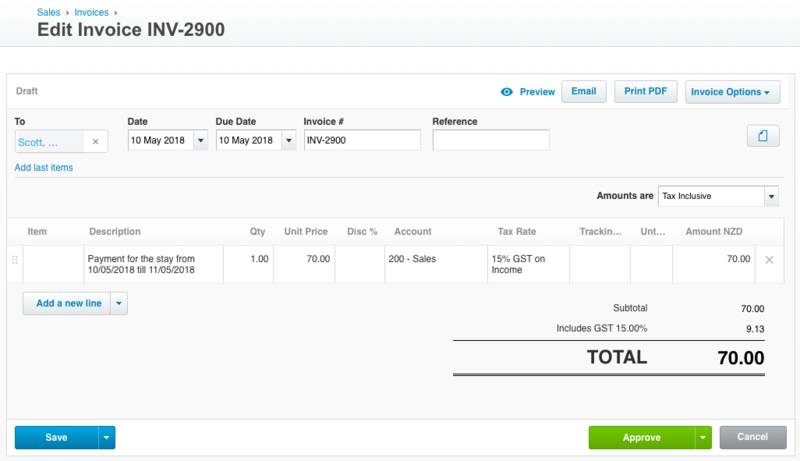 Raising an invoice in Xero allows you to request payment from the guest. 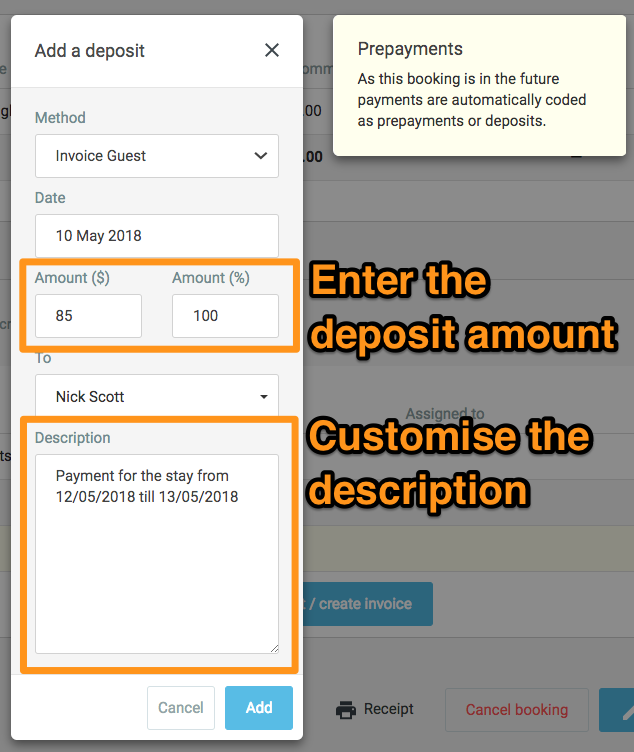 The invoice can have a 'pay by credit card' link for your guest to pay you directly (you'll need to integrate Xero and Stripe first). You can use "Invoice Guest" to request payment for the remainder of a reservation by invoice. Open the reservation in Preno, and click Add Deposit/Create Invoice. From there, select "Invoice Guest' from the dropdown for payment method. Preno will raise a draft invoice in Xero for the deposit amount. It will use the revenue account for "Accommodation". There will be a negative line item on the guest's final paid invoice on checkout for the same amount as the "Invoice Guest" deposit. That line item will have the invoice number for that "Invoice Guest" deposit on it.